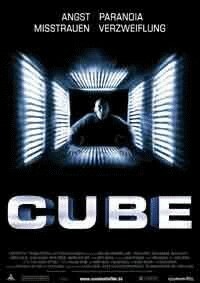 Cube is a low budget movie made in Canada, or so I thought. I rented it from a local store and popped it in the VCR, ten minutes later I was hooked. A group of strangers, each with different personalities and skills, come together in an enigmatic, killer structure in their efforts to escape. What is the structure? Why is it there? Who built it? Why are they there? It is said of life, that nobody gets out alive. We try to find some meaning in our struggles, and films such as Cube reflect that. The problem is that resolution and closure are impossible while life continues, and most of us, facing a choice, will struggle to extend that life. Want to watch a thought exercise to see how it comes out? P.S. Each of the characters is named after a prison chosen to reflect their personalities.